Welcome to our daily round-up of the most interesting nuggets of tech news, courtesy of our friends over at TechRadar. Whenever it's a phone, smart speaker, AI-powered drone or any other new bit of kit you need to know about, you'll find the details here. Less than a year after launching, the Nintendo Switch is officially a hit – or at least, more of a hit than the Nintendo Wii U it followed. According to Nintendo, the hybrid games console has shifted almost 15 million units in 11 months, which is more than the Wii U managed in the five years it was on sale. Part of the Switch's success has been the strong games line-up available for the console, with plenty more titles expected to be on the way in 2018. Microsoft once had plans to make an Xbox Watch, and while those plans eventually got scrapped, a prototype version has leaked out into the wild. The tile-based user interface looks very similar to the one on the Microsoft Band, and we have our suspicions that this might have become a decent fitness tracker in its own right. It does look rather chunky and unattractive, even for a prototype, so maybe it's for the best that it never launched. Perhaps following Facebook's philosophy that having dozens of apps is just as good as having one, Spotify has launched a spin-off app called Playlists, which focuses on exactly that – you only get access to curated playlists made by Spotify, and algorithm-driven tunes from your account like Discover Weekly. So far the app is only available on Android for users in Australia, so who knows if it will ever get the chance to spread its wings further? 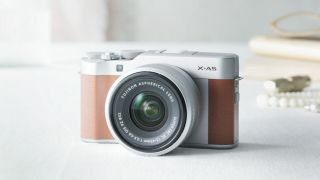 If you're in the market for a camera that adds a certain level of sophistication on top of what your smartphone can do, and yet won't break the bank, then the Fujifilm X-A5 could fit the bill, yours for £549 in February, with US and Australia pricing to be confirmed. You get an 24.2MP APS-C sensor, an Intelligent Hybrid AF system, and a 3-inch touchscreen display that can swivel round 180 degrees – perfect for getting that selfie shot just right.